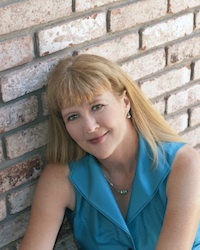 Today, please welcome to my blog author Suzanne Woods Fisher! Book one, The Letters, in Suzanne’s new series, Inn at Eagle Hill, is about to release on August 1. Suzanne is hosting a scavenger hunt July 23 – August 1, and I’m one of the stops! Keep an eye on Suzanne’s blog for a clue as to that day’s scavenger-hunt stop and visit for a sneak peek at The Letters and the chance to win a copy of the book! In the book The Letters, fourteen-year-old Mim Schrock found a Latin phrase she liked, ‘Miracula fieri hic’ (translated to mean: miracles occur here), and painted it on The Inn at Eagle Hill sign in front of her family’s farm. A newspaper reporter caught wind of it and wrote it up in a human interest article. Indeed, there were some unusual coincidences happening at the inn: A woman’s cancer was cured. A marriage was healed. Soon, guests flocked to the inn, hoping to receive a miracle. You can imagine the stir Mim created in her Stoney Ridge community. The Amish do believe in miracles—but ones that point to God’s sovereignty. Jesus seemed cautious about miracles, knowing they didn’t produce faith. A miracle is not a destination, it merely points the way. Why do you think people long for miracles, for signs and wonders? What are your thoughts about miracles occurring today? What kind of plumb line do you use to know if a miracle is truly a miracle or just a happy coincidence? Most importantly, what would a miracle do for your faith? Suzanne is kindly giving away a copy of The Letters to one ! To enter, comment below on this post along with your email address. I’ll choose a winner a week from today! Also, the winners of last week’s giveaway from Murray Pura are Susan P, Sharma Darby, and Kathleen Harrison! Congratulations, winners! My assistant will be in touch with the details, so expect an email in your inboxes. I would love t will also be asking my bookseller for Pennsylvania Patchwork when she comes to my library next month! I loved Leaving Lancaster! Hello, Kate! I would love to win a copy of “The Letters”. On a side note, I just got my copy of your book, “Leaving Lancaster”, in the mail this week and I just started it today. Can’t wait to finish reading it. Thank you, for your wonderful comments and kind words, for both Suzanne and me! Oh how I would love to own this book. Thanks for the chance to win it. Thank you, Bonnie! Hope you win! Would love to win this one! Love reading these books. Would love to be the lucky winner of this book. Love books about the Amish. Thank you, Kate, for this giveaway. Please enter me. I read all the Amish fiction I can get a hold of. Please enter Lucy M Reynolds. Thank you, Kate, for hosting me today! So glad we’ve gotten to know each other. You’ve been a wonderfully supportive friend! Sorry I didn’t pop in yesterday…I was away from the computer most of the day. Just getting caught up now. Great blog, btw! The pleasure is all mine, Suzanne! Thank you very much for visiting my blog! My faith in God is simply that, faith that He does all things and does them well. I am lead by Him who performs miracles in my life often! Praise His Holy name! I thank you for the chance to win this awesome book! I took Latin too, Charlotte! Thanks for sharing your faith and for entering! Loved your comment, Charlotte Kay! I entered but didn’t see my post, so here’s to another try!! It worked, Sonja! Good luck! I believe in miracles today. I am a walking miracle. You see my horse reared up and fell on top of me – all 1200 pounds of him landed on my abdomen. At the very least my hips should have been shattered. After spending 4 days in the hospital I walked out sore and bruised but no broken bones. Even my doctor admitted that was a miracle. Wow, Cindi! I definitely learn something new every day. Thanks for sharing your miracle! I would love to read The Letters. Thank you, Linda! Hope you win! Loved that thought, Linda…about God wishing to be anonymous! Thanks for visiting my blog and for your insightful comments, everyone!